Just four simple ingredients — water, malt, hops, and yeast — go into making beer, a delicious and intoxicating brew that has been enjoyed for the past 6000 years. The yeast not only ferments sugars into alcohol, but also affects the appearance, aroma and taste of a beer. It’s not surprising then that each brewery maintains it own unique yeast strains. 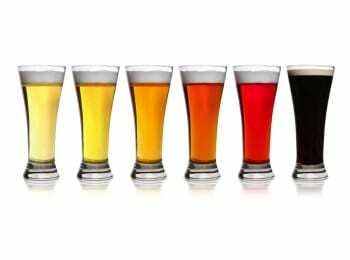 These strains, however, can be broken down into two main types: ale yeasts and lager yeasts. It’s been known for some time that lager yeast is a genetic mix of yeast species S. cerevisiae (the same species ale yeasts hail from) and another species, S. bayanus. But the results of a new Stanford study that will be published online Thursday in Genome Research are the first to show that this mixing of DNA actually happened twice during the history of lager, and that the strain of S. cerevisiae involved was an ale yeast both times. Lager beers are brewed at much cooler temperatures than ales (52-58 ° F vs. 64-70 ° F), a tradition that dates back to Bavarian brewers who stored their beer in icy caves in the Alps during the summer months. “It’s possible that the ale strain provides a certain flavor profile, while the second strain conferred the ability to ferment at cooler temperatures,” said Barbara Dunn, the other study author, referring to the hybridization events that created lager yeasts. When the researchers looked at yeast descended from the two groups of lager yeast, they saw further variation between strains. “The fact that lager yeasts isolated from different breweries each seem to have a unique genomic make-up may indicate that the yeasts are adapting to the conditions specific to each brewery,” explained Dunn. That’s the kind of science we can all raise a glass to.